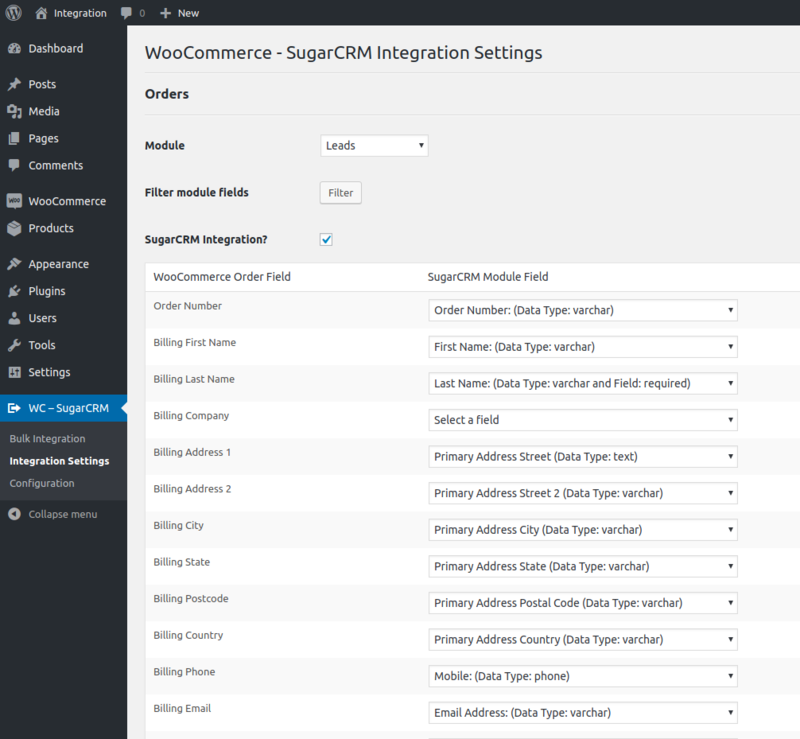 WooCommerce – SugarCRM Integration plugin can integrates your WooCommerce Orders and Customers with SugarCRM as Leads and Contacts. Easily add/update automatically Order as a Lead/Contact into SugarCRM when add new order or update Order on your site. Easily add/update automatically Customer as a Lead/Contact into SugarCRM when Customer add/update/register on your site. 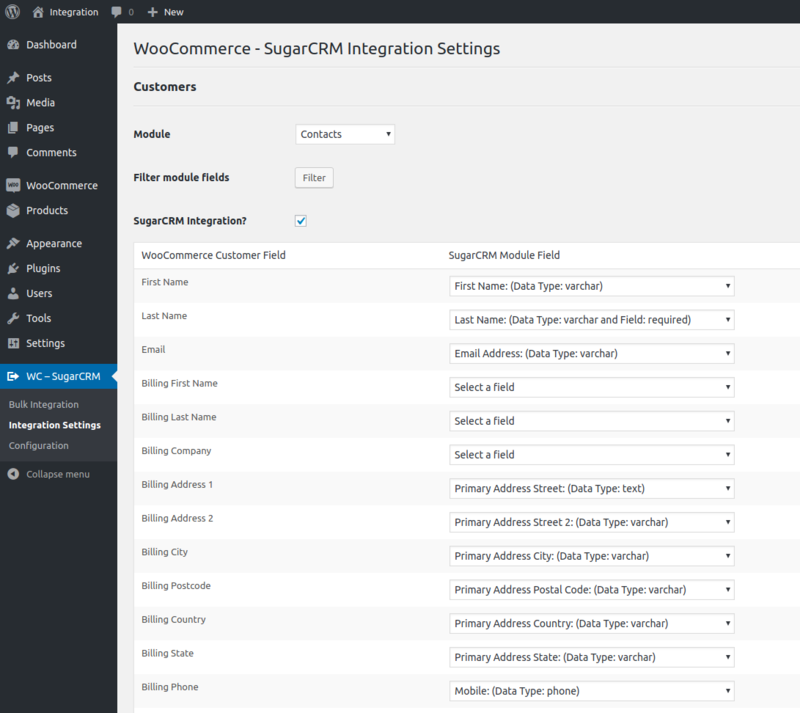 Also, support SugarCRM custom fields. - Feature - Added "Order Products" field in the Order Integration Settings.